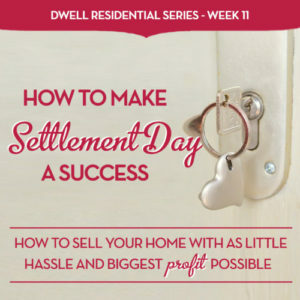 This is the eleventh article in our series called, Love Selling Your Home: Minimize Your Stress, Maximize Your Profit, Dwell Residential’s step-by-step guide to selling your home. Our series takes you through the entire home-selling process — from finding a real estate agent to settlement day. The big day is finally here! You are going to officially sell your home and hand over the keys to the new owners. It’s not unusual to experience a wave of anticipation and excitement leading up to this day. Maybe even a little bit of remorse and sadness leaving a home full of memories you’ve created over the years. But no one wants the transaction to be sidetracked by any last minutes surprises. Unfortunately, that can happen, but not for you with the handy list below! Do your homework now and you’ll have a successful settlement. Here’s what you need to do prior to this day, and also what to expect at your closing and what to bring with you. Any agreed upon repair work to the property or home should be completed by this date unless the buyer has agreed to work with their own contractor at a later day. The buyers will have their walk-through inspection just prior to the closing that day. Prepare to vacate your home on the agreed upon time with the buyer. If you and the buyers have agreed the moving will not take place on or before closing, you should negotiate a “rent-back” agreement. Cancel or transfer your utilities, effective that date. Cancel your homeowners insurance, effective that date. Cancel any monthly fees such as trash service, service for any alarm systems, condo fees, etc. Cancel any automatic payments that have to do with your home so you aren’t paying for it after you sold it! Contact your lender to make sure they have a forwarding address so they can forward any money left over in your tax and insurance escrow account. Bring your driver’s license or some form of ID. Gather all keys (door, mailbox, gate, garage remotes, etc.) and any other items that the buyer will need to access your home. These can no longer be in your possession. You can leave most of them in the home, but be sure to bring a key for the buyers to access the home after closing. Bring your checkbook. The title company can take a voided check to directly wire you the funds/proceeds from your home sale. You and your agent should plan to attend the closing at the specified time at the settlement company’s offices. The buyers also will be there with their agent. This is the day you will legally transfer the property to the buyer, pay off any mortgages, and receive any proceeds from the sale. You also will need to pay any parties you have been working with on the sale and closing of your home. Make sure you have your checkbook and are aware of any payment amounts in advance if possible. If you plan to use some of the proceeds of this sale to purchase a new home, then you definitely want the closing of your current home to go smoothly with no delays or issues. Keep in mind that the settlement company acts as a third party overseeing the terms in the contract to ensure they are being carried out and the transfer of ownership occurs. They don’t represent you or the buyer, but the terms of the contract. They also handle the closing process for that day and you will all meet in his/her office. 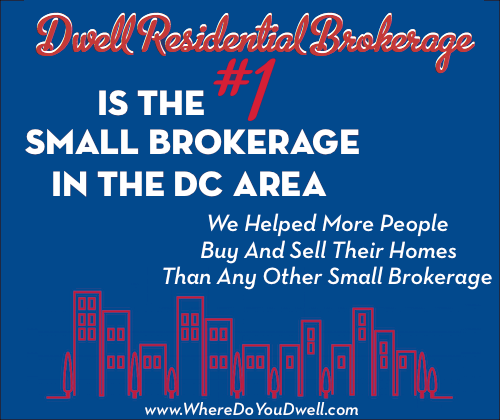 This is to ensure that all parties involved (you, the buyer, your agent, their agent) can properly oversee the transaction. The settlement company will handle the documents, money, and any other items from all parties and make sure that everybody gets paid (including any previous lenders) where necessary. You will be signing a lot of documents that day so make sure you understand and know what you are signing. Ask questions and confirm amounts if necessary! Congratulations … You sold your home! Now that you have closed, it’s time to move on to your new home or new adventures. This was the last article in our 11-part Love Selling Your Home series. We’ve taken you step-by-step throughout the entire process. We hope now you know that selling your home doesn’t have to be stressful or chaotic. Next up is a bonus article, How to Buy and Sell at the Same Time. Many sellers are also buying a new home. Here’s how to do it successfully.